Today I wanted to share with you a recent finish of mine - a Pivot Quilt featuring the new line by artist Kelly Ventura for Windham. Field Day will be shipping in May, 2019 and is my favorite line of Kelly’s yet! I love the mix of watercolor florals and the fabrics that remind me of sea glass. Its a nice modern mix that I feel not only looks beautiful as a home decor material but would make some beautiful clothing as well. For this throw size pivot quilt I chose a combination of 14 fat quarters from the full 22 available. A nice mix of blue, pink, aqua and green mixed with a solid white. 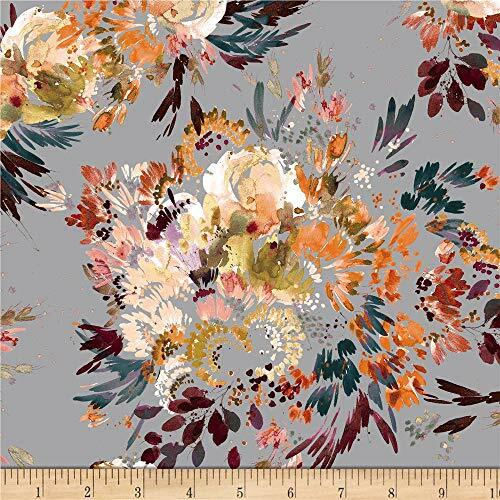 I feel like it gives the fabric a nice pop and the size of the blocks kept the pattern of the florals mostly whole so you can see the full pattern. For my quilting I used my Janome 6700p, walking foot and kept with a classic 3/4” straight line. I love the minimalist quilting against the shapes of the pattern. The Pivot Quilt is now available in a printed version (above) and PDF download. I have included a video link to the pattern to help with sewing curves and the pattern also includes coloring sheets in every size to help you plan out your fabric layout.